While dismissing the review petition of the Ansal Brothers in the Uphaar fire tragedy case, the Delhi High Court on Friday upheld the lower court order framing charges of tampering with evidence against Sushil and Gopal Ansal. Sushil and Gopal Ansal had approached the High Court challenging the charges framed against them for tampering with evidence. The district court earlier had ordered framing of charges against seven accused of abetment of offence, causing the disappearance of evidence, criminal breach of trust by a public servant and criminal conspiracy. All the accused had denied allegations against them but the court dismissed their petition. Earlier in April, Gopal Ansal surrendered before the Tihar jail authorities after the Supreme Court refused to grant him more time. The apex court also refused Ansal's plea, for more time to surrender and ordered the real estate baron to undergo the rest of his jail term. The apex court directed senior lawyer Ram Jethmalani, who appeared for Ansal, to ask the real estate baron to complete the rest of his jail term. The apex court sentenced Ansal to one-year jail term on February 9, while, his elder brother Sushil was ordered to skip his prison term citing old age and ill-health. 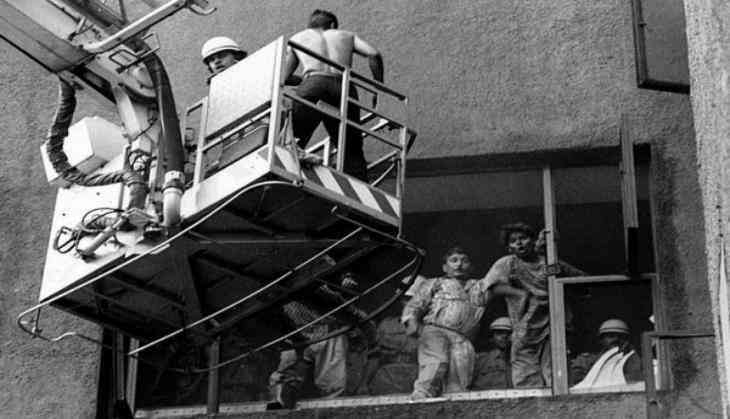 At least 59 people died of asphyxia and over 100 others were injured in the stampede after the fire broke out in Uphaar cinema on June 13, 1997, during the screening of J.P. Dutta's film 'Border'. This court case continued for 20 years.